Direct Response Copywriting: Developing a social media strategy for my company, what factors should I take into consideration? Developing a social media strategy for my company, what factors should I take into consideration? 1. How are you different? 2. Why should I buy yours? Answering these two questions will give you the key to motivation. Motivation: people will move towards that which they perceive is good for them, and move away from that which they think will do them no good. Define perception and you automatically get motivation. The first part is to influence public perception about your brand. You are always reinforcing that one quality which you are known for. This was your answer to question #1. Everything else ties with this one purpose. All social media communications, every interaction with your target audience serves to influence public perception. My website sells running shoes. Who is my target market? Runners. We all know that there are hundreds of running shoe websites, how can I compete? Answering question #1 immediately gives me my key to motivation. I sell running shoes for overweight runners. That narrows things down and clarifies a lot, doesn't it? Everything that I do now will reinforce this simple idea into my target audience's mind. First, my website design and content will showcase this fact -- running shoes for overweight runners. Having defined my target audience makes it easy for me to find the online communities that they frequent. I will then invest time and effort in engaging potential customers in these communities. Mind you, I am not there to spam or sell them anything. My goal is to provide solutions. Influence perception, optimize communications and engage the target audience. 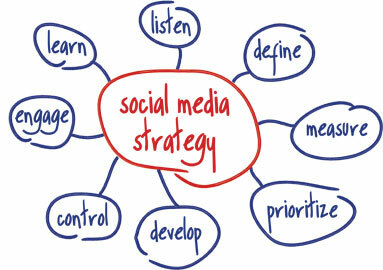 That's all you need to run a successful social media campaign.